New Line Cinema wants to do yet another remake of A Nightmare on Elm Street. The last time we saw the Springwood Slasher was in the poorly received 2010 Nightmare remake. Naturally after being dormant for five years, New Line would want another film to breathe life into the “beloved” Freddy Krueger. 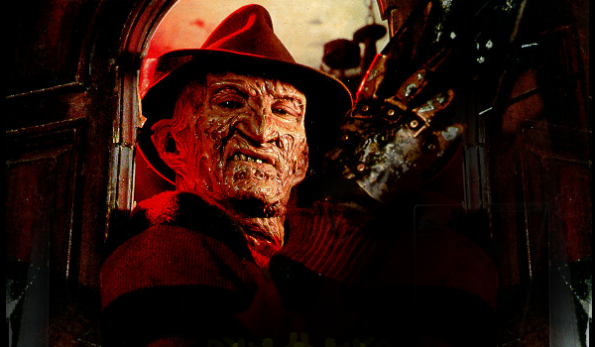 Although many Nightmare devotees would like to think Robert Englund ended the franchise, he did not. The film did not bomb at the box office which could have guaranteed a sequel however, the film’s production studio- Platinum Dunes decided to go in for the kill while the prey was there. Screenrant is reporting, New Line Cinema’s second Nightmare will we written by David Leslie Johnson (Orphan, Wrath of the Titans and the upcoming Dungeons and Dragons). The plot details are unclear, leaving the question of will this be another origin story or another take one of the many facets of Fred Krueger. Unlike The Amazing Spider-Man, it would be hard to retell the story of the slasher yet again. It’s hard to tell what will happen because this is all speculation. Unless writers and producers play up the child molester/murder bit equally do we really need another Freddy origin story or should he stay dead?